Looking eerie is easy when you've gone three days without any sleep, but creating a chilling appearance on a whim is pretty difficult to achieve. The essentials include a creepily pale complexion to make others wonder if your heart is actually beating, dark bags and circles around your eyes for a visage that's collectively perceived as frightening and a few splashes of blood to highlight the fact that you're a bloodsucking monster. 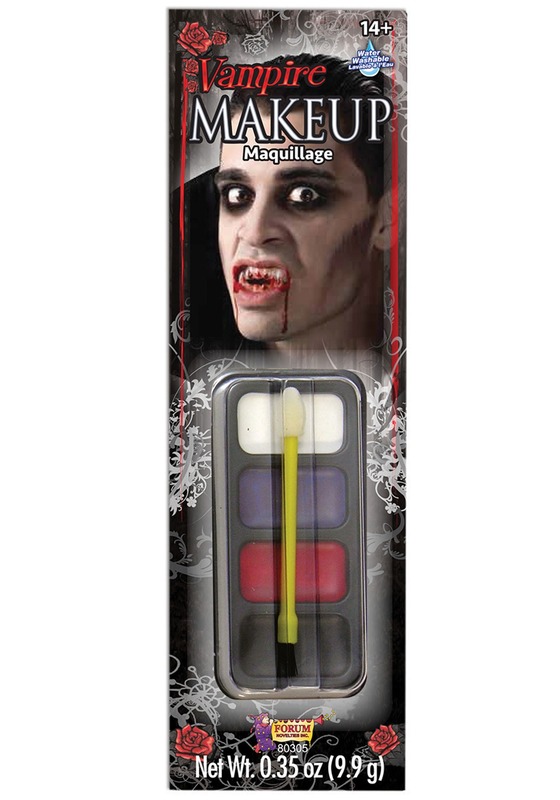 Luckily, we sell a vampire makeup kit that comes with everything you need so your terrifying transformation can take place effortlessly. 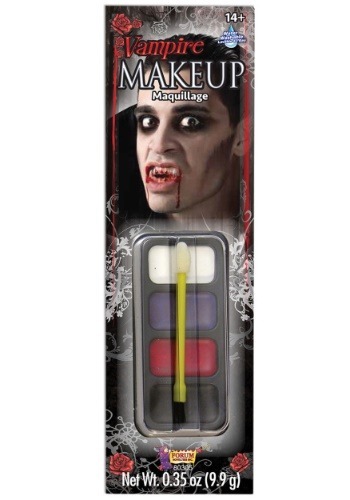 This kit comes with 9.9 grams of 4 different cream makeups to create your idea of a scary vampire. From traditional vampire stereotypes to more modern renditions, this makeup kit will help create a variety of vampire looks. The white makeup is perfect for all-over face coverage while the black and purple are ideal to use around the eyes. Finish up the look by adding red around the corners of the lips to make it seem like you just enjoyed a fresh snack. After applying the makeup, it's time to choose a costume. Luckily, we have tons of vampire costumes for all shapes and sizes to complete your horrifying change. Pick one that accomplishes the costume goals you want to achieve and you're well on your way to a bloody good Halloween!